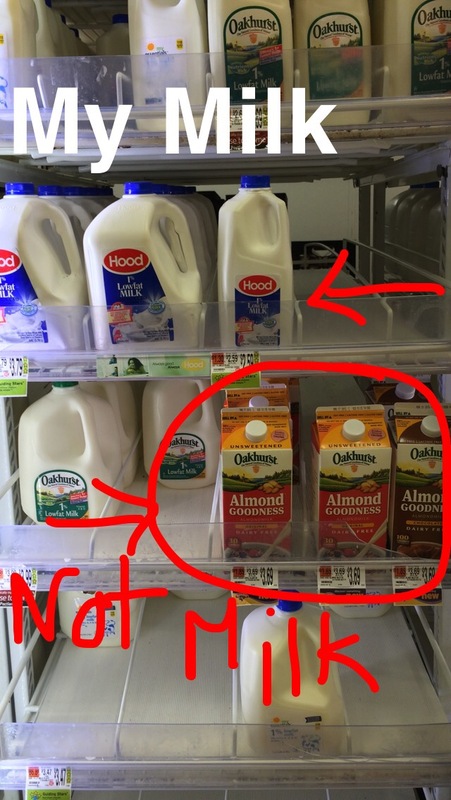 1) Maine, with all its almond trees*, is now home to Almond Goodness from Oakhurst….and apparently the best place for the Almond Goodness of Maine is in the dairy case next to my milk. Just for clarification, my milk comes from cows. The Filtered Water, Almonds, Natural Flavor, Sea Salt, Gellan Gum, Xantham Gum, Sunflower Lecithin, Calcium Carbonate, Vitamin E Acetate, Zinc Gluconate, Vitamin A Palmitate, Vitamin B12 and Vitamin D2 comes from…well I am not sure where it comes from, but it doesn’t come from Maine and it sure as hell don’t come from cows, though the Oakhurst peeps are pretty adamant that “All of our milk is sourced from local farms in Maine and Northern New England.” So now I am confused. If you are curious as to where it comes from and why it’s in the dairy case with REAL milk I am sure the folks at Oakhurst would be a font of information…you can contact them by phone: (207) 772-7468 or by email. The Dairy Case. A case for dairy….and also for plant based beverages too. Apparently. 2) If you’re on Social Media and you aren’t following a veterinarian on Social Media then you really are leading a downright boring existence…if you are a farmer or rancher on SM and you are not following a large animal vet then you are doing it WRONG. Here are a couple on Twitter that are worth a follow: Sally @HowNowDownCow and Justin Rousselle @JustinRDMV …but let’s kick the world of the DVM up a notch to where there’s the always exciting draining of abscesses, counting of sperm, and of course Taylor Swift. Don’t even begin to turn your nose up at TS. I’m not making fun of your music so don’t make fun of mine. …back to the point at hand, Dr. Cody Creelman is definitely worth following on Instagram and/or Twitter And from there you can catch some great glimpses of his day to day routine, high-jinks, hilarity, Taylor Swift sing-a-longs (his SnapChat is as informative as it is entertaining), and gorgeous images of his part of the world as well as his commitment to his practice, calling, animals and farmers. Change is okay. 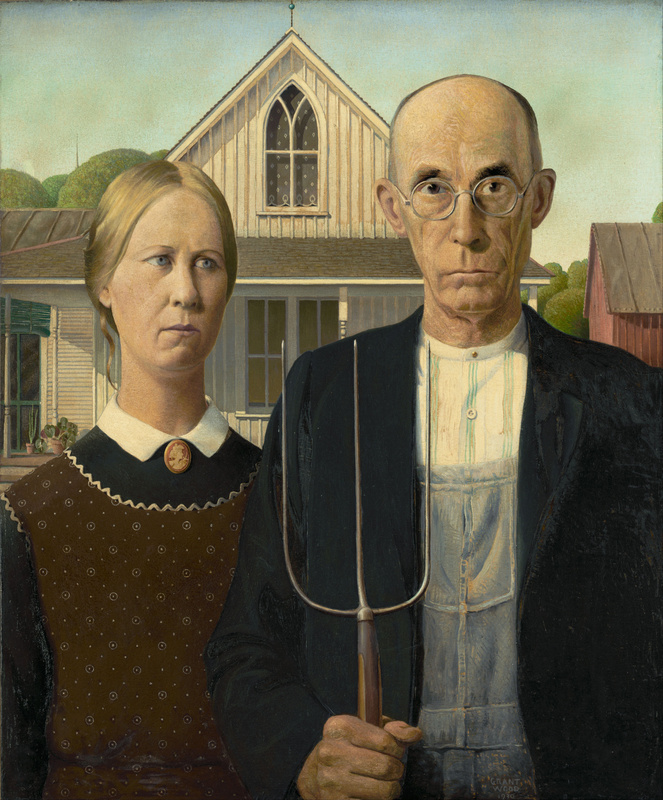 If we still did things the way these folks used to most of the soil from America’s Bread Basket would be somewhere in the Atlantic Ocean and preventable diseases would be running rampant among livestock. Change, it’s a good thing. *Maine doesn’t really have a lot of almond trees. I am just being a bit sarcastic.